Check out this short local's guide to San Jose from a student's perspective. Only two of the items on the list cost money (assuming you own a bike), which is completely understandable given how tight budgets are when you are in school. 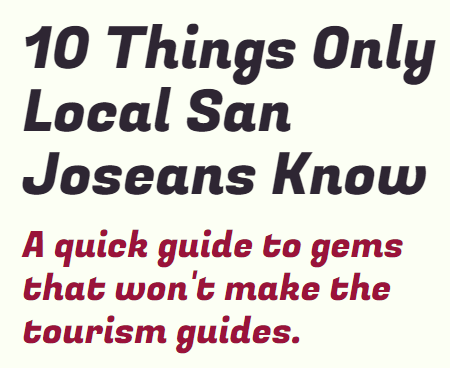 I consider myself to be pretty thorough when it comes to exploring San Jose, yet have personally only done five of the ten items on the list. Check out these 10 "hidden gems" right over here. Thanks to Christopher Escher for sending this in!